The progression of the United States of America from thirteen British colonies into the current republic was a complex political process that spanned nearly 15 years. During the founding period the "Head of State" served as “President” under the Colonial Continental Congress, The United States Continental Congress, the Constitution of 1777 (Articles of Confederation) and the Constitution of 1787 (Current U.S. Constitution). In most history textbooks, compilers do enumerate the differences between the current executive office of U.S. President and Commander-in-Chief with the presidential office that once presided over the Continental and Articles of Confederation Congresses. The opinion, however, that these “Presidents of Congress” were actually United States “Heads of State” is not addressed in American history texts. 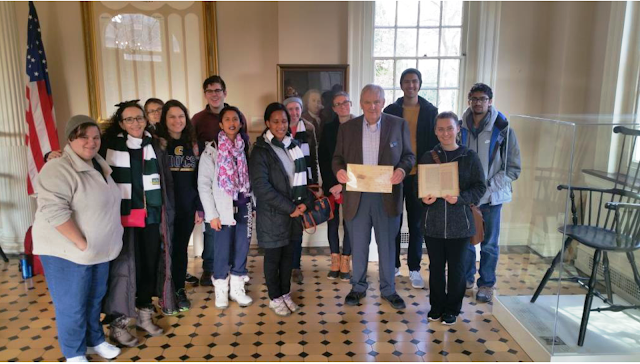 Moreover, the examination of the similarities and differences between the Continental Congress, United States in Congress Assembled and the current United States Congress is also deficient of thoughtful studentship. 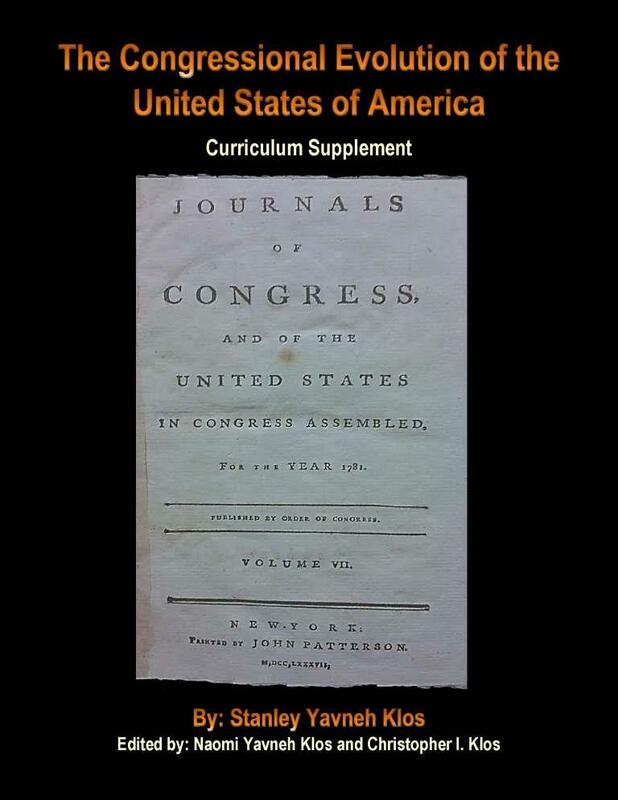 The Congressional Evolution of the United States of America (CEUS) curriculum has been specifically designed to address these and key 1774-1790 political incongruities, which ultimately gave rise to the Congressional call for “…a Convention of delegates … to be held at Philadelphia for the sole and express purpose of revising the Articles of Confederation ...” The curriculum also addresses the Delegates decision to scrap the Articles of Confederation, frame the current United States Constitution and Congress proposing, on September 25, 1789, twelve constitutional amendments for States’ ratification consideration. The examination of the United States under the lens of its Congressional progression provides students with a pedagogy that can help them understand numerous founding inconsistencies like United States officials heralding the nation’s birthdate as July 4, 1776, while the United States Mint produces Delaware “First State” quarters based the State’s 1787 ratification of the current United States Constitution. Were there not member states in the United States of America Republic between 1776 and 1787? Was Delaware the First State? If not which State do you think is the first U.S. State? 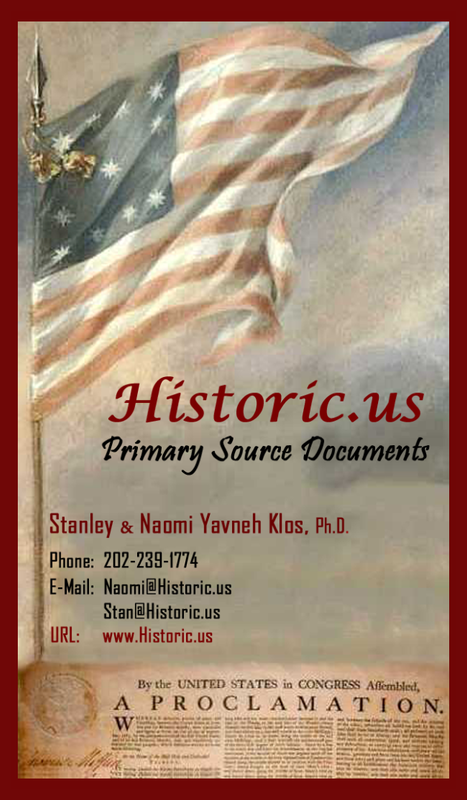 What historical evidence can be used to support your position? In addition to releasing the Congressional Evolution of the United States curriculum, we are in the process of creating 20 new CEUS Presidential Series videos for www.uspresidency.com. Four of the videos, First UCCC President Peyton Randolph, Second UCCC President Henry Middleton, Third USCA President John Hanson and Fifth USCA President Thomas Mifflin are completed and posted on this website. Finally, many of our former visitors may be wondering what happened to the America’s Four Republics concept unveiled at the Annapolis Continental Congress Festival in 2012. No reservations, the scholarship is sound but the pedagogy was too controversial for the primary and secondary educational systems in the United States. The Congressional Evolution of the United States Curriculum does address the possibility of different U.S. republics in its second module Challenge: Did the United Colonies Continental Congress govern as a Republic?, which provides ample primary sources for students to arrive at their own conclusions. As always comments are welcomed, especially from students. They can be submitted by email to: stan@johnhancock.org. 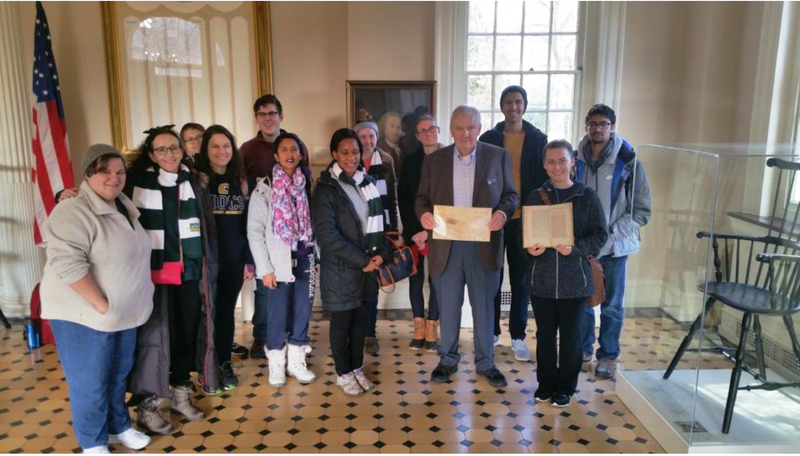 Students and Teachers of US History this is a video of Stanley and Christopher Klos presenting America's Four United Republics Curriculum at the University of Pennsylvania's Wharton School. 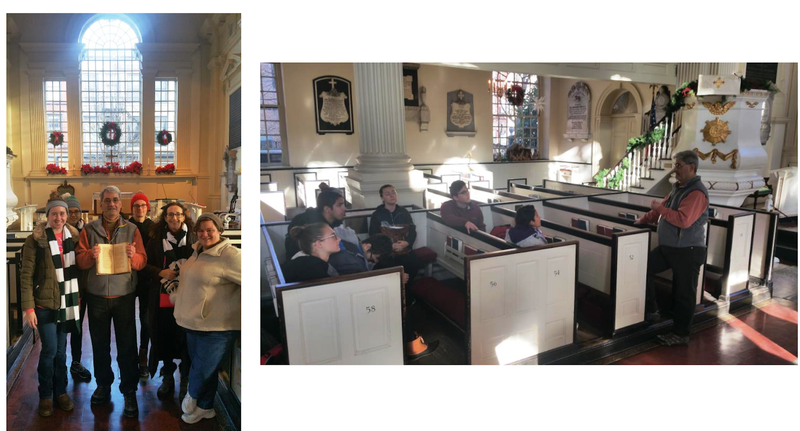 The December 2015 video was an impromptu capture by a member of the audience of Penn students, professors and guests that numbered about 200. 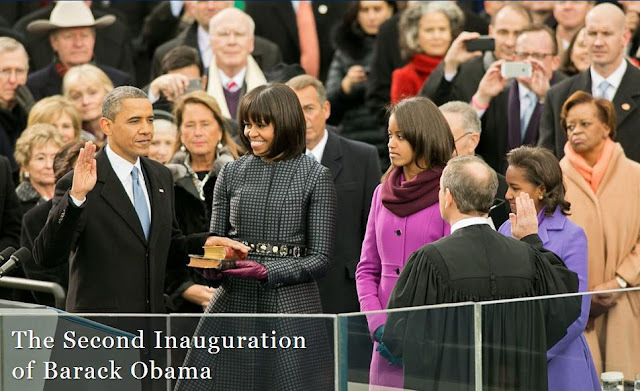 To understand the differences between these presidencies, we turn to the book, The Congressional Evolution of the United States of America that organizes the U.S. Congresses into their four different categories. * The Articles of Confederation was ratified by the mandated 13th State on February 2, 1781, and the dated adopted by the Continental Congress to commence the new United States in Congress Assembled government was March 1, 1781. 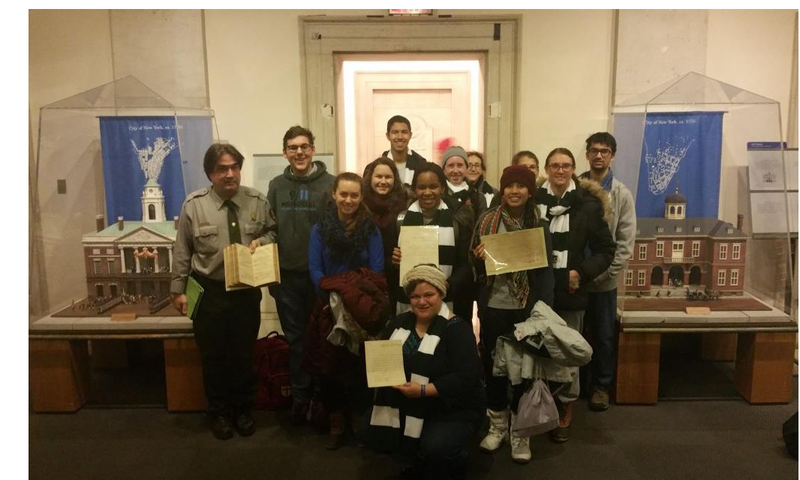 The USCA convened under the Articles of Confederation Constitution on March 2, 1781. ** On September 14, 1788, the Eighth United States in Congress Assembled resolved that March 4th, 1789, would be commencement date of the Constitution of 1787's federal government thus dissolving the USCA on March 3rd, 1789. The delegates of Maryland having taken their seats in Congress with powers to sign the Articles of Confederation: Ordered, That Thursday next [March 1, 1781] be assigned for compleating the Confederation; and that a committee of three be appointed, to consider and report a mode for announcing the same to the public: the members, [Mr. George] Walton, Mr. [James] Madison, Mr. [John] Mathews. The March 1st, 1781, enacted Constitution of 1777 provided for a unicameral governing body called the United States in Congress Assembled (USCA) to govern the United States of America. The USCA was charged " .. to appoint one of their members to preside, provided that no person be allowed to serve in the office of president more than one year in any term of three years." On March 2nd, 1781, the Delegates, who were duly elected after each State had ratified the Articles of Confederation, convened in Philadelphia as the United States in Congress Assembled with Samuel Huntington presiding as the first USCA President. Additionally, George Washington continued to serve as General and Commander-in-Chief of the United States Continental Army. 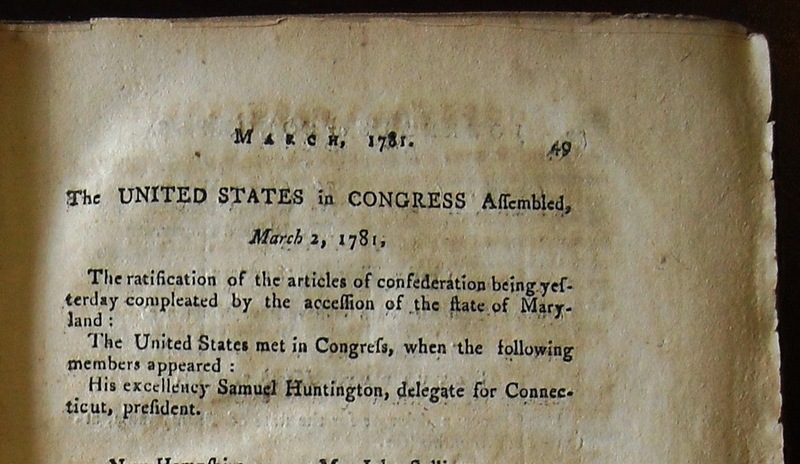 Journals of the United States in Congress Assembled, March 2, 1781 entry recording "His excellency Samuel Huntington, delegate for Connecticut, President." The Constitution of 1777 Presidency, although similar to its predecessor, was a different and weaker office then that of the U.S. Continental Congress Presidency. For instance, the Continental Congress Presidents, who served from September 5, 1774 to February 28, 1781, presided over a government that could enact legislation binding all 13 States with only a seven state quorum as opposed to the nine state minimum required by the Constitution of 1777. Additionally, Continental Congress Presidents, who decided what legislation came before Congress, often found themselves as the sole vote for their state, giving them a 1/7th to 1/13th vote over crucial legislation, appointments, judicial decisions, and even military orders enacted during the Revolutionary War. After March 1, 1781, the Constitution of 1777 mandated that two or more delegates must be present from each state for that delegation to be marked present and be eligible to vote in the new USCA government. Therefore, on March 2nd, 1781, the first act of the USCA was to disqualify both New Hampshire and Rhode Island from voting in the new assembly because they each had only one delegate present. On May 4, 1781, to further weaken presidential powers, Congress passed the "Rules for conducting business in the United States in Congress assembled." that stripped the President of his power to control the congressional agenda which, was a tactic that the presiding officers (especially Henry Laurens) had expertly wielded as Continental Congress Presidents. These new USCA rules even went so far as to eliminate the President's prerogative to continue the debate, before a second to the motion was brought to the floor. Rule 10. When a motion is made and seconded it shall be repeated by the President or If he or any other member desire being in writing it shall be delivered to the President in writing and read aloud at the table before it, shall be debated. There are numerous other examples on the differences between the two offices that range from the USCA's Committee of the States experiment to govern the USA by a "Board of Directors" without the USCA President at its head to John Hanson's success in championing the congressional resolution that moved the bulk of his presidential correspondence duties to USCA Secretary Charles Thomson. Moreover, USCA Foreign Secretaries Robert R. Livingston and John Jay took over most of the U.S. Presidential duties of entertaining foreign diplomats and dignitaries under the Articles of Confederation government. 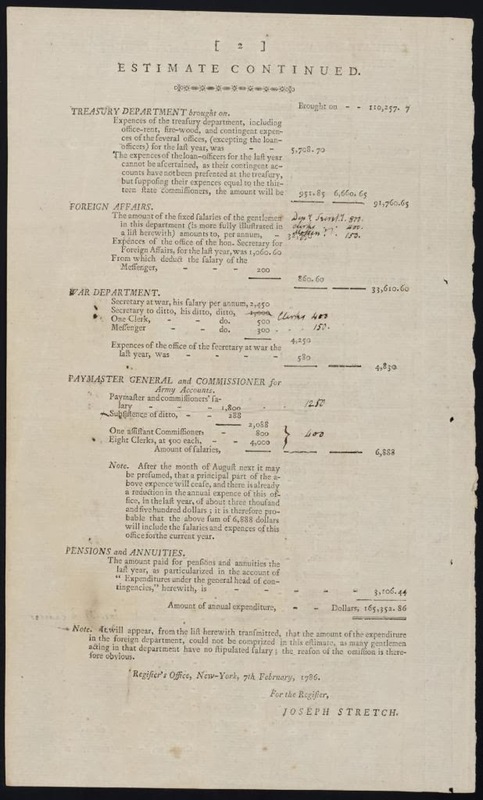 1785 Broadside of the "Estimate of the Annual Expenditure of the Civil Departments of the United States, on the present Establishment" indicating the expenditure for President Richard Henry Lee's household was $11,203.13. The President was paid no salary for that office but did received a salary from his home State at the same rate of his fellow Virginia Delegates. 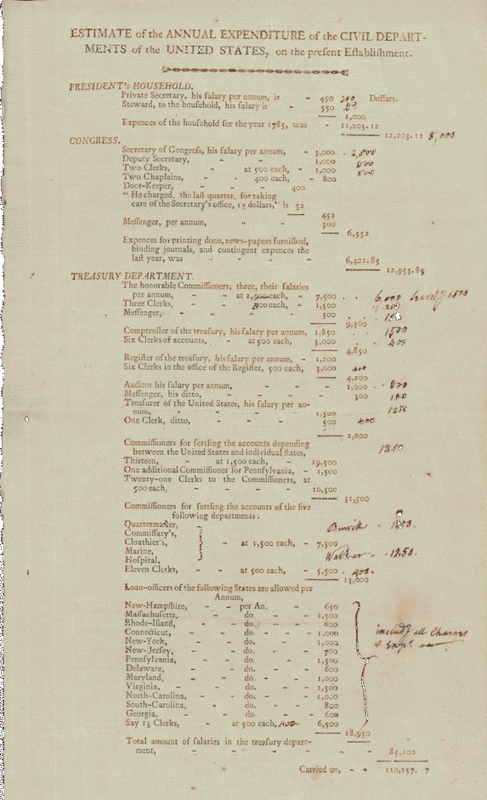 1785 Broadside of the "Estimate of the Annual Expenditure of the Civil Departments of the United States, on the present Establishment" - It is important to note that no paper Continental dollars were issued after 1779, and they had stopped circulating as money by 1781. In 1785, the United States in Congress Assembled made the dollar the official unit of account of the U.S. government, but did not issue physical dollar currency, thus by "dollars" they meant the Spanish milled dollar. No one denominated any transactions in Continental paper dollars after 1781. Now, banknotes denominated in dollar units (again meaning Spanish milled dollars) were being used from 1781 on (Bank of North America, several state banks, and then the First Bank of the US), but these notes were not official legal tender currency before Alexander Hamilton, as Secretary of the Treasury, simply declared paper banknote dollars of several banks as good as Spanish milled dollars for paying Federal taxes.It would not be until 1792 that the US Mint struck its own silver dollar at a slightly different value (weight) then Spanish milled dollar. Spanish milled dollars, along with many other foreign specie coins, remained a legal tender in the United States until 1854. - Email Excerpt paraphrased from Dr. Farley Grubb, Economics Professor, University of Delaware. 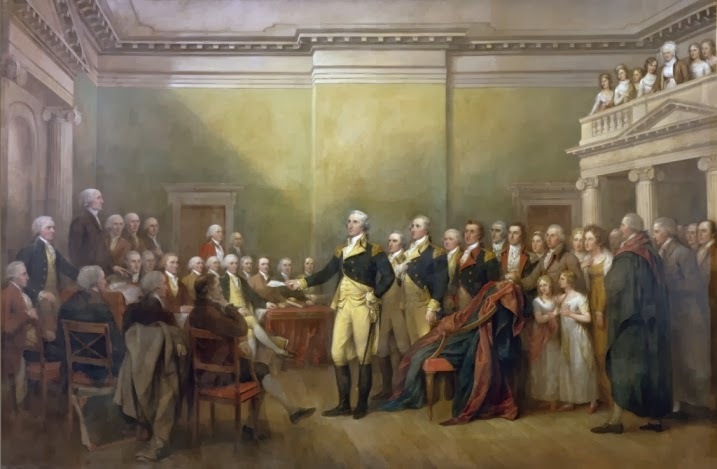 "General George Washington Resigning His Commission" by John Trumbull (1756–1843) - Circa 1817 and placed in the United States Capitol rotunda in Washington D.C. in 1824. Its dimensions are 144" in × 216" inches. General George Washington resigned his commission as Commander-in-Chief of the Army to the Congress, which was then meeting at the Maryland State House in Annapolis, on December 23, 1783. This action was of great significance in establishing civilian, rather than military rule, leading to a republic, rather than a dictatorship. 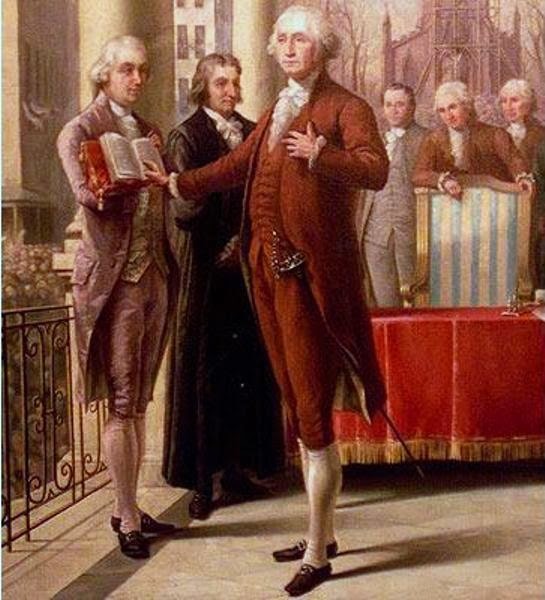 Washington stands with two aides-de-camp addressing the President of the United States in Congress Assembled, Thomas Mifflin, Elbridge Gerry, Thomas Jefferson, James Monroe, James Madison, Thomas Stone,William Ellery, Roger Sherman and other delegates. George Washington continued to serve as General and Commander-in-Chief of the United States Continental Army until December 23, 1783. 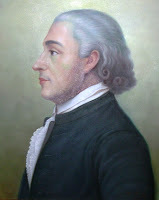 On that date, in Annapolis, Maryland, Washington submitted his resignation to President Thomas Mifflin during a regular session of the United States in Congress Assembled. The USCA would not appoint another Commander-in-Chief in its remaining five years as the unicameral federal government of the United States. 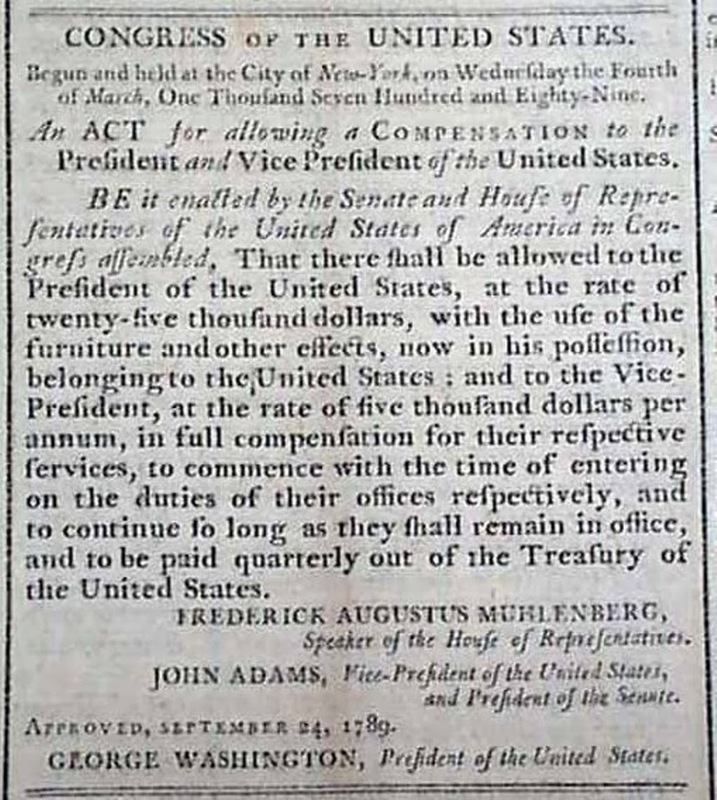 … whereas the constitution so reported by the Convention and by Congress transmitted to the several legislatures has been ratified in the manner therein declared to be sufficient for the establishment of the same and such ratifications duly authenticated have been received by Congress and are filed in the Office of the Secretary therefore Resolved That the first Wednesday in January next be the day for appointing Electors in the several states, which before the said day shall have ratified the said constitution; that the first Wednesday in February next be the day for the electors to assemble in their respective states and vote for a president; and that the first Wednesday in March next be the time and the present seat of Congress the place for commencing proceedings under the said constitution. It would certainly be unpleasant to you & obnoxious to all who feel for your just fame, to see you at the head of a tumbling system. It is a sacrifice on your part, unjustifiable in any point of view. But on the other hand no alternative seems to be present. Without you the govt. can have but little chance of success, & the people of that happiness, which its prosperity must yield. 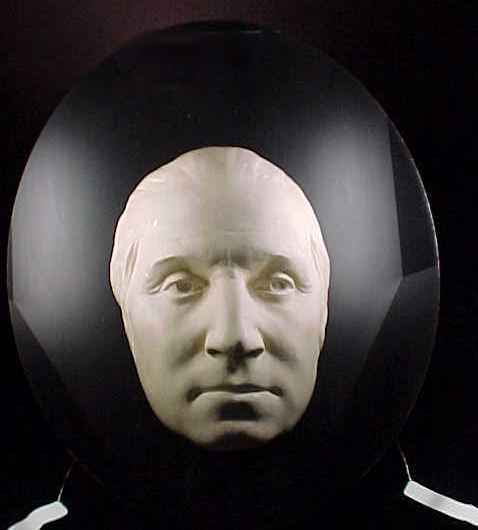 "I have been here about a Fortnight during which time we have not made a Congress. So. Carolina, Virga, Pennsa, N. Jersey, & Massachussets are represented. There is one Member from each of the States of Rhode Island, N. Carolina & Georgia, but none from New Hampshire, Connecticut, N. York, Delaware or Maryland. I very much wish we may make a house in a week or ten days, as I think the Appearance in Europe, & perhaps even here, of the old Congress being in full operation and tranquilly yielding the seats to the new would have a good effect. The misrepresentations in Europe have been extremely gross, and must have an unfavorable effect upon Emigration in the poorer ranks of life. Col. Wadsworth has been mentiond as President. I respect him much, but I wish to give appearance to the old System by a Character of rather more celebrity. 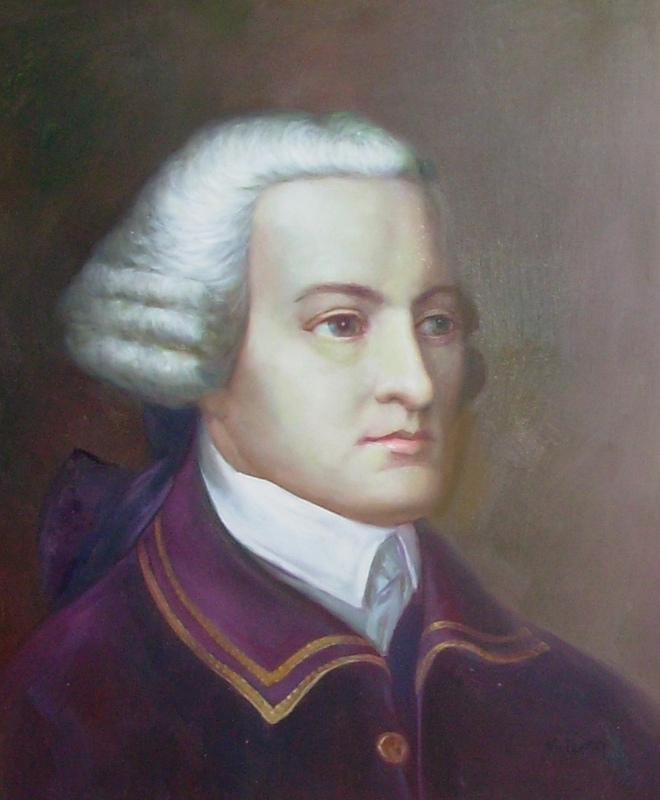 Mr. Adams would meet my Judgment better than any member of the present house. The principal Objection is his Absence, which I fear will deprive him of his chance." A quorum never formed and the Articles of Confederation Presidency ended with Cyrus Griffin on January 21, 1789. From January 22, 1789, until George Washington took office under the Constitution of 1787 on April 30th, 1789, there was no one serving as "President" in the United States of American Republic. The last entry in USCA Journals is dated, March 2, 1789 and records Mr Philip Pell, the Delegate from New York, attending the last quorum call. 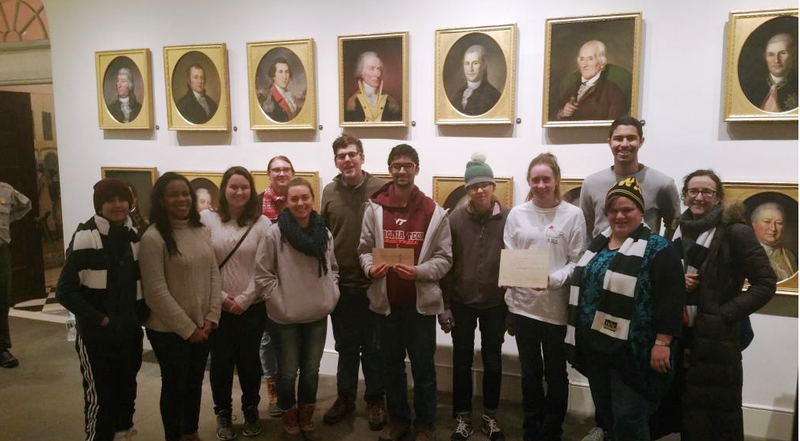 On March 3rd, 1789, the unicameral government known as the United States in Congress Assembled simply faded away with only North Carolina and Rhode Island still ascribing to the defunct "Perpetual Union." Articles of Confederation and Constitution of 1787 language establishing its respective offices of President. The United States House of Representatives (HR) and Senate in Congress Assembled were formed by 11 states with the United States Constitution of 1787’s enactment on March 4th, 1789. The republic is currently governed under this United States Constitution and its 27 Amendments. Frederick Muhlenberg served as the first Speaker of the House, Vice President John Adams served as the first President of the Senate, John Jay served as the first Chief Justice, and George Washington served as the first U.S. President and Commander-in-Chief of the United States of America (POTUS). 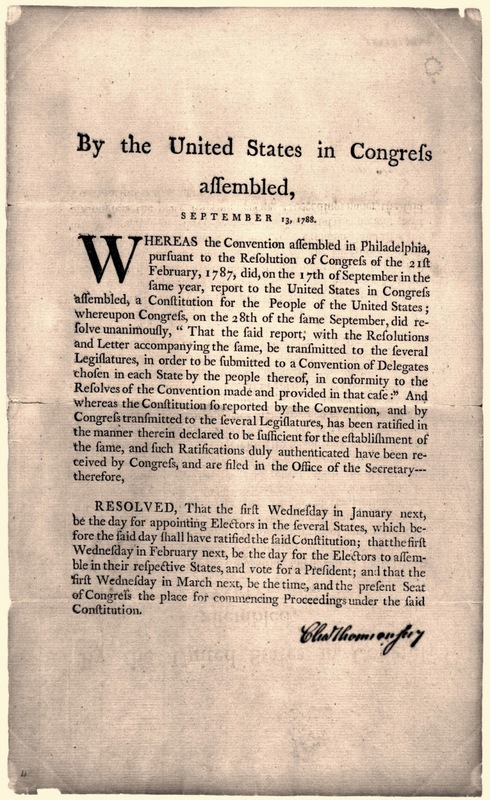 US Constitution of 1787, United States in Congress Assembled Enabling Resolution Broadside date September 13th, 1788, and signed by USCA Secretary Charles Thomson. Tuesday, March 3rd, 1789, was established as the last day the USCA would govern the United States of America. Being the eleven States have respectively ratified the Constitution of Government of the United States, proposed by the Federal Convention, held in Philadelphia, on the 17th of September, 1787. 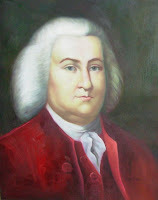 From Massachusetts,George Thatcher,Fisher Ames,George Leonard, andElbridge Gerry.From Connecticut,Benjamin Huntington,Jonathan Trumbull, andJeremiah Wadsworth.From Pennsylvania,Frederick Augustus Muhlenberg,Thomas Hartley,Peter Muhlenberg, andDaniel Heister.From Virginia, ... Alexander White.From South Carolina, ... Thomas Tudor Tucker. But a quorum of the whole number not being present, the House adjourned until to-morrow morning eleven o'clock. On April 1st, 1789, the United States House of Representatives achieved its first quorum. On April 6th, 1789, the United States Senate achieved its first quorum and elected its officers. On April 21st, 1789 John Adams took the oath of Vice President and presided as United States Senate President. On April 30th, 1789, George Washington was inaugurated at Federal Hall as the first President and Commander-in-Chief of the United States of America. THE Committees of both Houses of Congress, appointed to take order for conducting the ceremonial of the formal reception, &c. of the President of the United Stares, on Thursday next, have agreed to the following order thereon, viz. That General Webb, Colonel Smith, Lieutenant-Colonel Fish, Lieut. Col. Franks, Major L'Enfant, Major Bleecker, and Mr. John R. Livingston, be requested to serve as Assistants on the occasion. That a chair he placed in the Senate-Chamber for the President of the United States. That a chair be placed in the Senate-Chamber for the Vice-President, to the right of the President’s chair; and that the Senators take their seats on that side of the chamber on which the Vice-President’s chair shall be placed. That a chair be placed in the Senate-Chamber for the Speaker of the House of Representatives, to the left of the President’s chair—and that the Representatives take their seats on that side of the chamber on which the Speaker’s chair shall be placed. That seats be provided in the Senate-Chamber sufficient to accommodate the late President of the United States in Congress Assembled [Cyrus Griffin of Virginia], the Governor of the Western territory [Arthur St Clair], the five persons being the heads of the three great departments [Secretary of Foreign Affairs John Jay, Secretary of War Henry Knox, Commissioners of the Treasury Arthur Lee, Walter Livingston, and Samuel Osgood], the Minister Plenipotentiary of France [Eleanor Francois Elie, Cpmte de Moustier], the Encargado de negocios of Spain [Don Diego de Gardoqui], the Chaplains of Congress [Bishop Samuel Provoost. Dr. William Liin], the persons in the suite of the President:42 and also to accommodate the following Public Officers of the State, viz. The Governor [George Clinton], the Lieutenant-Governor [Pierre Van Cortlandt], the Chancellor [Robert R. Livingston], the Chief Justice [Richard Morris], and other Judges of the Supreme Court [Robert Yates, Jon Sloss Hobart], and the Mayor of the city [James Duane]. That one of the Assistants wait on these gentlemen, and inform them that seats are provided for their accommodation, and also to signify to them that no precedence of seats is intended, and that no salutation is expected from them on their entrance into, or their departure from the Senate-Chamber. That the members of both Houses assemble in their respective Chambers precisely at twelve o’clock, and that the Representatives preceded by the Speaker, and attended by their Clerk, and other Officers proceed to the Senate-Chamber, there to be received by the Vice-President and Senators rising. That the Committees attend the President from his residence to the Senate-Chamber, and that he be there received by the Vice-President, the Senators and Representatives rising, and be by the Vice-President conducted to his chair. That after the President shall be seated in his Chair and the Vice-President, Senators and Representatives shall be again seated, the Vice-President shall announce to the President that the members of both Houses will attend him to be present at his taking the Oath of Office required by the Constitution. To the end that the Oath of Office may be administered to the President in the most public manner, and that the greatest number of the people of the United States and without distinction, may be witnesses to the solemnity, that therefore the Oath be administered in the outer Gallery adjoining to the Senate Chamber. That when the President shall proceed to the gallery to take the Oath, he be attended by the Vice-President, and be followed by the Chancellor of the State, and pass through the door on the right, and the Representatives, preceded by the Speaker, pass through the door on the left, and such of the persons who shall have been admitted into the Senate-Chamber, and may be desirous to go into the gallery, are then also to pass through the door on the right. That when the President shall have taken the Oath, and returned into the Senate-Chamber, attended by the Vice-President, and shall be seated in his chair, that the Senators and the Representatives also return into the Senate-Chamber, and that the Vice-President and they resume their respective seats. Both Houses having resolved to accompany the President after he shall have taken the Oath, to St. Paul’s Chapel, to hear divine service, to be performed by the Chaplain of Congress, that the following order of procession be observed, viz. The door-keeper [Gifford Dalley] and messenger [‘Ihomas Claxton] of the House of Representatives. The Clerk of the House [John Beckley]. The Representatives. The Speaker. The President, with the Vice-President at his left hand. The Senators. The Secretary of the Senate [Samuel A. Otis]. The door-keeper [James Mathews] and messenger [Cornelius Maxwell] of the Senate. That a Pew be reserved for the President—Vice-President—Speaker of the House of Representatives, and the Committees; and that pews be also reserved sufficient for the reception of the Senators and Representatives. That after divine service shall be performed, the President be received at the door of the Church, by the Committees, and by them attended in carriages to his residence. That it be intrusted to the Assistants to take proper precautions for keeping the avenues to the Hall open, and that for that purpose, they wait on his Excellency the Governor of this State, and in the name of the Committees request his aid, by an order or recommendation to the Civil Officers, or militia of the city, to attend and serve on the occasion, as he shall judge most proper. 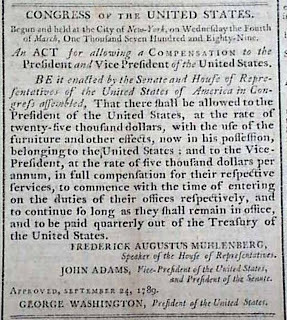 On September 24th, 1789, the United States Congress set the yearly salary of the United States President at $25,000 and the Vice President at $5,000. 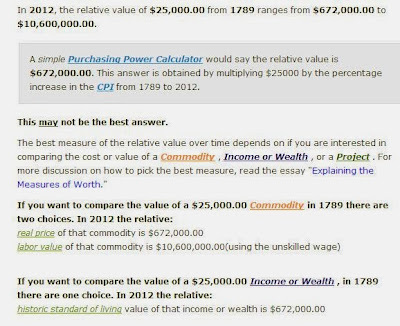 The 1789 Presidential salary of $25,000 translates to $672,000 in 2012 dollars. Currently the US Presidential salary is $400,000/year, plus a $50,000 non-taxable expense account. The compensation of the President is controlled by law, Compensation of the President: Title 3, Section 102. John Rutledge, from South Carolina;William Cushing, from Massachusetts;James Wilson, from Pennsylvania;John Blair, from Virginia. 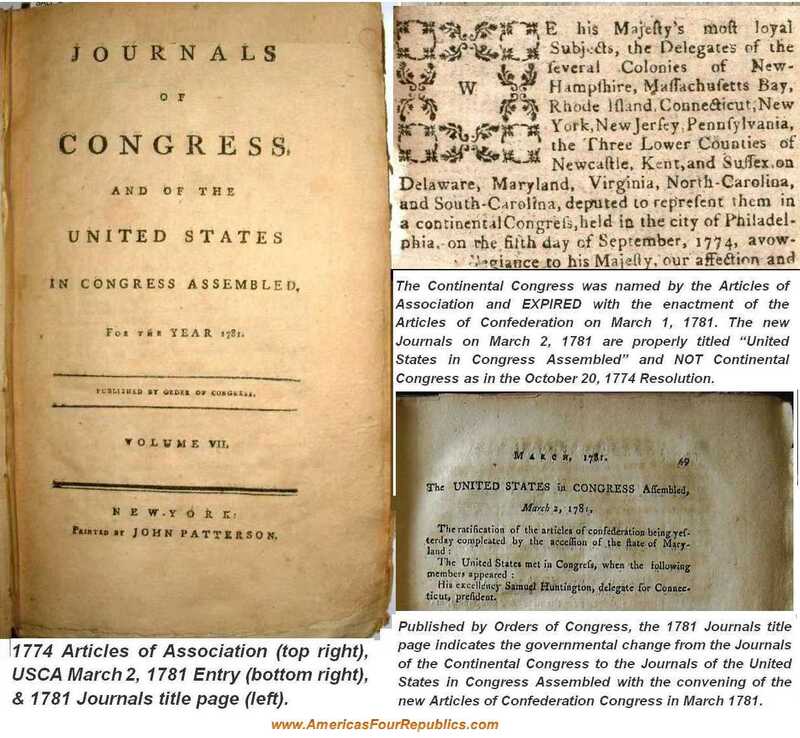 Journals of the USCA, September 13, 1788. Copyright © Stan Klos. Picture Window theme. Powered by Blogger.